Home / Community News / CONNECT ALL @ the Jacobs Center Applications Now Open! Do you or someone you know have a startup business in San Diego that has had a successful beginning and is ready for rapid growth? 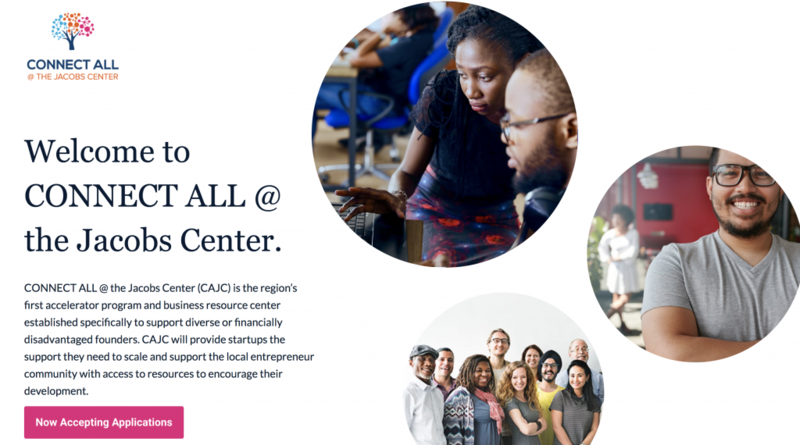 CONNECT ALL @ the Jacobs Center, the San Diego region’s first accelerator program established specifically to support diverse or financially disadvantaged founders, is officially accepting applications! Businesses selected for the inaugural group will begin in Spring 2019 and receive all support and services free of charge, including co-working space, community resources and networks, mentors, training sessions, investors and much more. Apply today or learn more at connectallsd.org. Applications have now been extended through Feb. 1, 2019. Read more in our application press release. And, don’t worry. If your business isn’t ready for the program yet, a free Business Resource Center will also be opening to support you in Spring 2019! Learn more from KPBS and KUSI News below. Funding for CONNECT ALL @ the Jacobs Center is provided by the City of San Diego Economic Development Department, and private funding from partners such as MUFG Union Bank N.A. and bkm OfficeWorks. This program is funded in whole or in part with Community Development Block Grant program funds provided by the U.S. Department of Housing and Urban Development to the City of San Diego.